JUST RIGHT... Not to big and not to pricey. 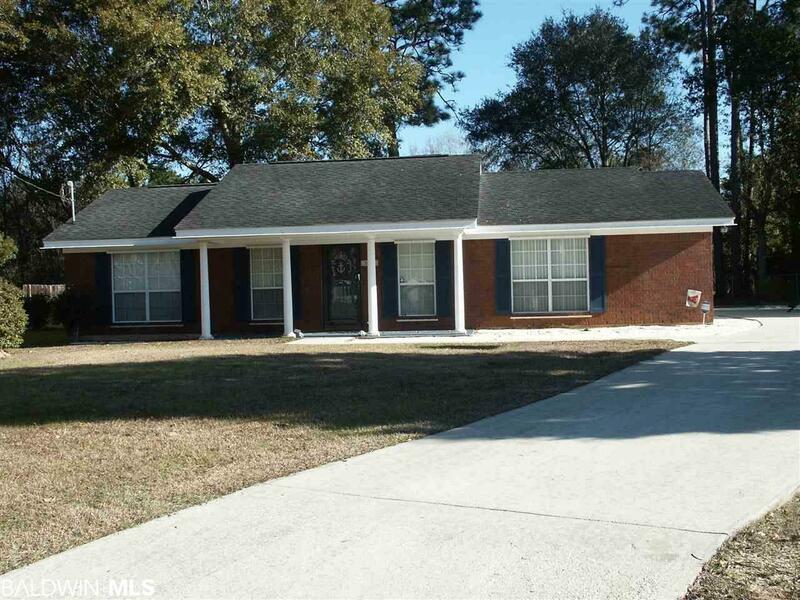 Check out this three bedroom and two bath, brick home located in the beautiful Spanish Cove community. Home includes: all major kitchen appliances, washer & dryer, large side entry double garage, sun room, 2 beautiful lots, and large work shop & storage building. Seller is providing a one year Home Protection Plan through Old Republic at Seller's cost. As a property owner you will be able to enjoy the heated pool, beach area, two clubhouses, fishing pier, parks, tennis courts, 24 hour security, and the many activities offered. Spanish Cove is convenient to Pensacola shopping, Gulf Beaches, Lillian boat launch, Baldwin County waterfront park, and Pensacola NAS facilities. Call for an appointment for your personal showing.